I thought I might be getting in line to view President Reagan in the Capitol Building, but I found out you can't bring cameras ... also it is a closed casket. 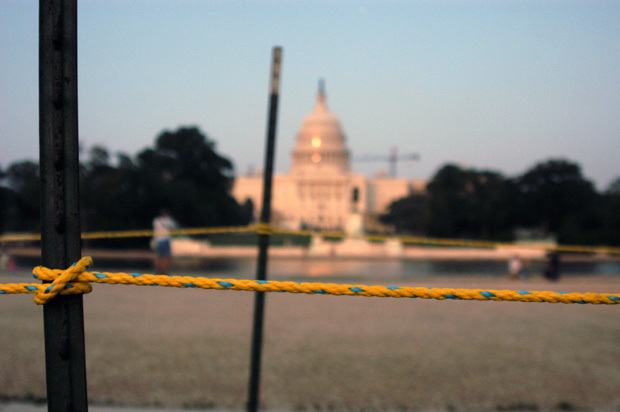 Plus, while walking through the National Mall we saw authorities roping off the viewing line ... it was 7 blocks long and at least 20 rows thick. I guess I'll be taking pictures outside. This is Dave at work in the Corcoran College Library on H St NW. 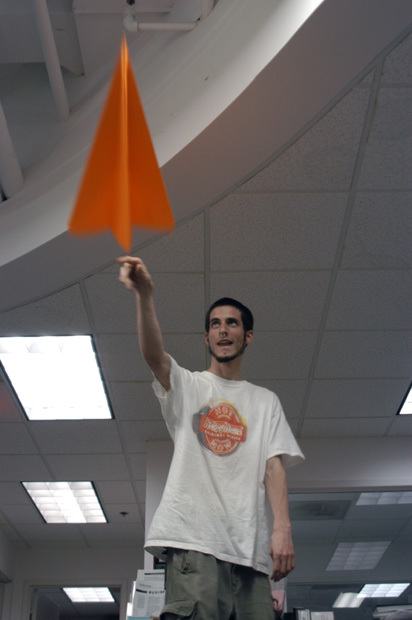 Dave has been making this paper airplane for approximately two months. I needed a snack earlier today. 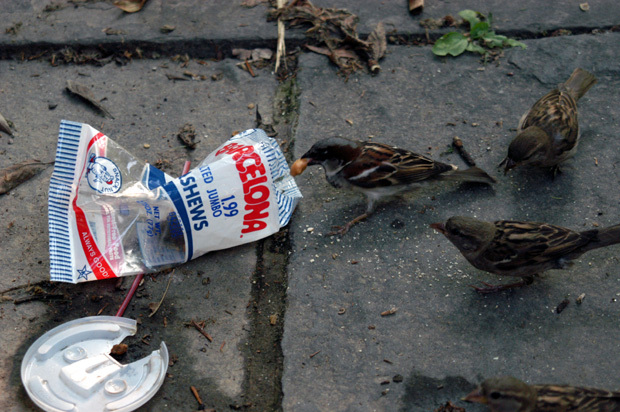 I gave the end of this bag of cashews to the birds.